cost Visit our website to view our full range with pricing. Our innovative and exclusive range of children's furniture and storage solutions makes parenting simpler and easier with its fresh style and inspired functionality. If you’re looking for clever modular storage solutions that will tidy up a playroom or practical furniture for a child’s bedroom, NEST has the answer because we understand family life as it‘s lived today. There’s no better place to find sturdy, functional ideas that are great value for money. Your home, their space! Visit www.nestdesigns.co.za to view our full range of products. Bring functionality, modern lines, simple style and a comfortable sleep to the nursery with our exclusive range of furniture and essential storage. 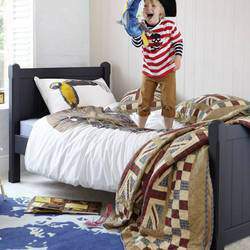 Create the perfect playroom with our exclusive range of playroom furniture for children. Whether it’s beanbags, playtables or just clever storage systems to help keep things tidy, we’ve got all the essential pieces kids need for a fun space. Keep tidy with our great range of practical storage solutions; toy chests, boxes, tubs, bookcases, bookends, playtables plus shelving and peg rails that will also put your walls to work.